Real estate is now the hot issues of the economy. Many economic experts have raised questions: Should the property valuation or not? Is the valuation may determine the true value of real estate? And if so, how to proceed? Many characters in Vietnam Appraisal Association, talked around the issue. * Recently, there are many ideas that real estate prices in Vietnam have decreased by 30-50% or so before returning to real values. What do you think about the current real estate prices? I concur with the views of the Economic Committee of Congress that property prices in Vietnam does not have the world's highest, but are unreasonably high. Any reasonable considering the cost, the investment rate of the economy, unreasonable compared with the income of the people. * According to economic experts, Vietnam's real estate prices recently sense of "bubble". So should perform the valuation for the market or not? - In my opinion, it is necessary to do so. 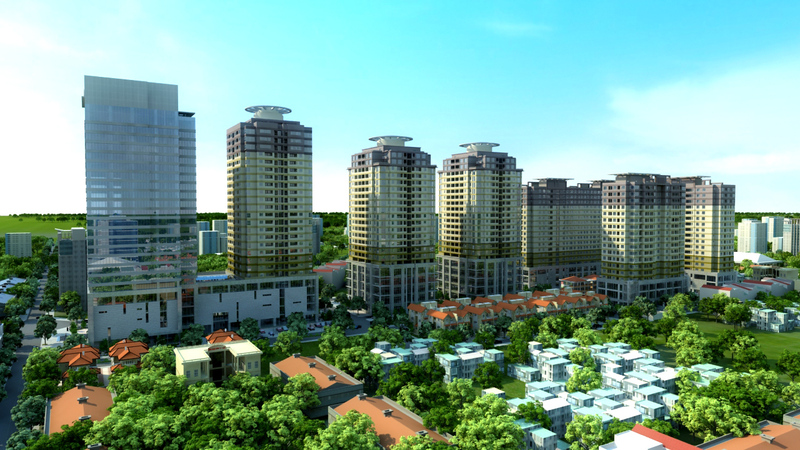 There should be an overall survey to assess the general situation of Vietnam's real estate prices. On the basis of this overall investigation can determine the price of each type in the appropriate method. For example, how many market factors, how much is attributed to the supply - demand decided ... When determining the true value of the property at ensuring that new strategies and schemes to conserve resources do.Chang as taxable real property for reasonable with mortgage bank loans, transfer of ownership, as compensation ..., all of these new objectives are not misleading and do not cause us adverse effects for the economy. * If you perform valuation for the property, he said, should be allocated to public agencies perform? How this is done will be like? - Should be allocated to an agency of the Government to act, and the agency assigned to manage the real estate market will do this. In Vietnam, the Ministry of Construction as prescribed by the Real Estate Business Law. But to ensure the objectivity and have the manpower to do this, you should organize the way the State expenditure on the organization hire a professional property valuation. They will conduct the investigation and determine the price according to the protocol, method, process of unified management body. Can investigate each area, each area, then, the Ministry of Construction jointly chaired agencies concerned organizations look to form a real estate price list of the regions in the country. * According to him, in order to identify substances with high or low housing prices should be based on what basis can I compare? - In my opinion, there are three important factors. First, compared to the cost to make real estate and general profit rate of the economy or margin / capital of the real estate business related sectors. Second, to consider and compare incomes, purchasing power and the solvency of the population strata. Third, consider how profitable real estate business than the overall profitability of the economy and profitability of residential investment channel capital into money markets. * In this context, the State must intervene in the property market as to how to ensure correct real value of it, sir? - First, make the market more transparent through public measures of real estate planning, organizing procurement, real estate auctions, organize exchanges carried su.Thu two, plunging cost estimates prepared Project through reduction of administrative procedures and processes for project approval procedures clearance compensation and unreasonable costs related compensation bang.Thu face three, increasing the number of social housing through support policies of the State in order to supply the market, such as access to land policy, compensation policies clearance, taxation, interest rates ... Fourth, review system technical to technical norms suitable system for managing construction cost management in construction dung.Thu year, against speculators control through taxation measures, administrative and other economic sectors. Friday, organized to stabilize prices, not to the price of products related to real estate investment increased unreasonably high. Not so formed "underground market", because the activities of "underground market" generated a lot of negative. In particular, a "dim" in the assessment of supply - demand, hard to the buyer, the seller may determine the market price. The key is to handle major issues of the market, which is growing too "hot," causing real estate prices up too quickly, stimulating the wave of speculation in the market, leading to property prices beyond the ability pay. This creates no real demand, and that is the "bubble" in the market. Furthermore, at present, in the structure of the real estate market is severely imbalanced, DN "run" in the middle of real estate, luxury, while demand is low cost housing segment, low-income housing or housing Social for low-income workers are hardly any companies are interested. Thus, the market creates disparities in supply - demand. Here, I want to emphasize that we must clarify the business rescue and save people who are owned inventory are two different concepts nhau.Se have suggested that there is a relationship between the banking sector and Property dealers. They themselves live in symbiosis. Banks must support home buyers low-interest loans, or freezing debt reschedule loans for real estate business who can not afford to repay. All the support that is needed. In short, a business research is needed, but they must do so in order to save that industry production and liquidity, rather than for those who are working to have the property sold at higher prices. 18/09/2015 16:20 - Why has the price of real estate around the West Lake lofty? Friday, 18 September 2015 15:35 Valuation of real estate, where to rely on? Friday, 18 September 2015 16:20 Why has the price of real estate around the West Lake lofty?